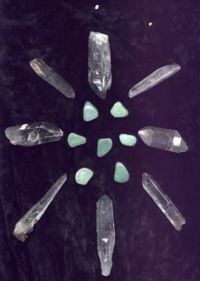 A Crystal Grid is a special grouping of stones laid out in a particular formation for a specific purpose. When created and empowered with sacred intention and prayer, each stone within the Grid amplifies the qualities and energy of the other stones. Lines of high frequency light link the stones and create a vortex of energy. The energy vibrating from these crystals help individuals to realize their own essential nature of love, peace, and harmony, and facilitates a new awakenings in human consciousness. Crystal skulls intensify and amplify the power of intention, and hold the specific frequency of Sirian Crystal and Golden Dolphins Energy. The shape of the skull is understood as in Sacred Geometry. For example, various three-dimensional shapes have particular qualities that they emanate just by the nature of their structure. A pyramidic shape fosters integration. Likewise, the skull formation is a sacred shape. Our brain is encased in the shape of a skull, and the structure of the skull helps to conduct the electro-magnetic powers inherent in brain function. And, although our culture over the years has adopted the symbol of the skull to represent death, in metaphysical terms, the sacred shape of the skull represents transformation, or in fact, death and re-birth. The Crystal Skull Grid is used to bring in the new Crystal & Golden Dolphin Energy . This new energy contains keys and codes for attunement to the new crystalline DNA frequencies coming from the Solar & Crystalline Grid. The Sirius Golden Dolphins & Avatar Dolphins encourage you to use Lemurian Seed Crystals and Crystal skulls to connect to the Solar & Crystalline Grid. These Crystals allow you sustain higher frequencies inorder to aid in your 12-strand DNA coding. This new frequency is being transmitted by the lemurian seed crystals & crystal skulls and you can only receive it through telepathic attunement. The Galactic Maya knew that the telepathic function of the human brain is actually activated by frequencies from crystal & crystal skulls. There exists an ETHERIC ENERGY NETWORK that links all Crystal Skulls and Golden Dolphins together. This can be compared to our modern internet which links computers all over the world together. One also needs to remember that computers are made from quartz crystals. Once a Crystal Skull becomes activated, the Skull begins working towards fulfilling its mission with the Golden Dolphins in the world. At this stage it can link into this etheric energy network and receive knowledge, information and energy from any other crystal skulls, Temples of the Sun , and Golden Dolphins that are linked to this network. By using the Crystal Skulls Grids you are connected directly into the Dolphin’ matrix within the Earth. 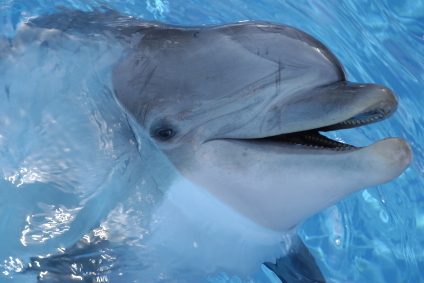 The Dolphin matrix gives you holographic programming for your soul mission during this life time. Before an Ener-Chi Transmission you can create an energetic force field in your meditation room by using crystals. Crystals have the ability to amplify and transmute energy. They can increase good energy and positive vibrations. More important, they have the ability to transmute energy. They can change a negative energy field from a leyline or earth power spot into a positive one by planting a crystal over the leyline or power spot in your house or yard. Crystals transmit a piezoelectric charge which affects the body’s bio magnetic fields. Crystals reflect and refract light, and light rays such as infrared and ultraviolet are used to both heal and disinfect the body. Crystals carry information that is why every computer in the world would have a silicon (crystal) chip inside. These natural healing crystals have the ability to influence physical mental, emotional and spiritual health. Crystal grids can be used for many purposes and can be any size. Small enough to fit on a table top or as big as our yard/garden. Basically, all we do in Crystal Gridding is to set crystal in geometric patterns. You can grid in and around a room or person . The ancient art of laying on of stones is crystal griding. Anyone can use crystal grids. Grids set up by those who understand energy will hold a charge longer and have to be empowered less often. A square or rectangular grid by placing one crystal into each corner of your room or house. A single terminated quartz crystal is placed in each corner of the room with the points facing into the center. This can be made more effective by having a fifth central crystal, in the center of the room that acts as the co-ordinator and harmoniser of all the combined crystal energies and vibrations. It harmonizes the other four crystals, which are the cornerstones of the crystal grid. Amethyst is also often used. These corner crystals are usually kept in place at all times and cleared or replaced often. As you place each stone you can dedicate or program it for the function of maintaining a protective and clear environment in the area. The stones do not actually need to be all of the same kind. You can certainly place more than one stone in or near each corner. They can be chosen to bring in a specific quality of energy to represent the elements or by personal intuition. Many people also place stones facing or near doors such as an obsidian sphere or large agate for grounding and protection or some rose quartz to "greet" visitors. Both Rose quartz and Amethyst help keep the atmosphere of a room light and positive. Some people choose a stone to be placed facing the door as a guardian stone. Sometime a stone native to the area is used as a guardian. Petrified wood helps keep people in the room grounded and calm and helps keep people in touch with inner wisdom. Clear quartz and citrine can help with mental clarity. You may want to keep a crystal cluster or some obsidian, stibnite, hematite or other stone near the computer, monitor or television whether or not you are sensitive to the energy radiating from them. All electrical equipment can create strong electromagnetic field. Crystal grids are a tool to stay protected against entities, sorcery, vampirism, psychic attack, and other energy attacks. Furthermore, it provides protection against electro-magnetic interference and mind-control through HAARP technology . We are all bombarded by electromagnetic mind control, through a hi-tech sorcery called HAARP. This technolgoly was created by the Dark Lodge to keep us quiet and passive while the agenda of fear, false ego, grees and enslveemt takes hold. Most people do not have the spiritual power yet to resist this electromagnetic interference in their thought patterns and emotions. Crystals grids can to counteract this evil. Crystal grids can help Lightworkers to attainment the higher consciousness needed heal the planet Earth, and save humanity and all sentient beings from chaos and destruction cause by our own negative thoughts and behaviors. Remember if you doing good, do not expect that the "dark force" to l just stand idly by while you do your work and grow in power. You will be attacked and you will need all the protection and spiritual power you can get! Remember to use the crystals grids. The most common crystals for making a crystal grid includes clear quartz, smokey quartz, rutilated quartz, tourmalinated quartz, citrine, amethyst and rose quartz. Most of the time clear quartz including lemurian seed crystals is the crystal of choice, because its energy frequency is neutral and it can therefore be used for virtually any purpose you wish to program it for. Clear quartz is versatile and powerful in transmitting and transmuting energy, and it is also a good healer crystal. Another reason to go for clear quartz is a practical one: it is not as costly as the other members of the quartz family that tend to be pricey. Smokey quartz is wonderful to transmute negative energies, but because of the hard work it does it will also need more cleansing. It has a very grounding energy, and is excellent if you want to ground negativity into the earth or if you are dealing with earth based psychic attacks. If you manage to get a smokey quartz crystal point with citrine inclusions then you do not have to cleanse it as citrine is self-cleansing and will keep smokey quartz free from negativity. Rutilated quartz, sometimes also called angel hair quartz has all the beneficial effects of quartz amplified by the rutile inclusions which make it a very high energy crystal and great conductor. Tourmalinated quartz combines the properties of quartz with those of tourmaline. Usually the inclusions are of black tourmaline which is a great crystal for warding against negativity and psychic attack. Tourmaline is also wonderful to protect against electromagnetic attacks and electro-smog.also the price factor, tourmalinated quartz is often more cloudy or even opaque. Citrine intune with the solar plexus, our power centre. Banish all darkness it helps overcome dark emotional states and keeps us positive. Don’t put in bedroom as its solar power may make sleeping more difficult. You want to have more lunar gemstones and crystals in your bedroom! Citrine is also costly and, worst of all, not everything sold as citrine is actually citrine. Much of what is sold as citrine has been irradiated to turn it dark, and some of it is even amethyst turned yellowish by irradiation. Amethyst helps with dreaming, meditation, to ward against evil and bad luck , alleviate drunkenness or overcome addiction. The power of an amethyst grid depend son the quality of the amethyst (how dark, how clear) and the individual points used (whether they be naturally shaped points or artificially cut to a point shape, for instance). This crystal grid is excellence for a meditation room. But you can always set up a clear quartz grid and then add an amethyst cluster to your room to bring in the energies of amethyst. Rose quartz works on the heart chakra and brings the energy of self love. Weakest member of the quartz family and doesn't’t withstand attacks of strong negativity. It needs frequent cleansing, making it unsuitable for a protective crystal grid. Use crystals with natural terminations. There is quite a lot of artificially cut quartz that feel really dreadful because they had been unlovingly cut by machines without any understanding of the energies of the crystal. These crystals do not emit a proper energy flow out through the tip. Avoid these types of crystals in general and do not use them for a crystal grid. Size is not important Don’t worry about the size of the crystal..Look at clarity. whether it is a natural point and the energy of the crystals . Generally quartz points of two or three inches should be powerful enough for general purposes. Rinse it in warm water to clear from any energy it is holding. Sit comfortable with eyes closed and take three deep breathes. Hold your crystal to your heart. Fill your heart with the feelings and emotion of Gratitude. From your heart, tell the stone that you appreciate it and love it and thank it for helping you bring in positive energy and transmute negative. Visualize a Earth where all living beings are living in abundance, peace, harmony, connection, beauty and joy. When the feeling is strong, intend that the energy from your heart enter and fill your crystal. Use your breath and blow your intention into the crystal. 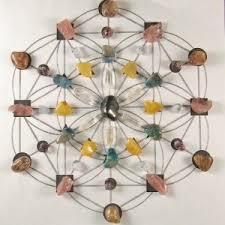 Place it lovingly into the Crystal Grid Design and intend that it connects with the other crystals in the grid. First set our intent because this affect the stones we chose to work with. While holding your intent in mind, hold the stone to your heart and send this intention into the stone . When you are ready to set up the grid, start by cleansing and clearing your space with sage or other incense. Also cleanse yourself – by taking some smoke from the incense all around yourself. Crystals work best when we empower them . You need to ground and center yourself. Use your normal protection method, or invite the presence of your guardians or guides. Now sit and hold each stone, one at a time, in your dominant hand (right for righties, left for lefties) and say your intent a few times. Intuition will let you know when each stone has taken the programming. When you feel ready, lay stones in the pattern you previously decided. Now spend some time connecting with the grid you have made. This will activate the grid. Really feel the energies! You may see lines connecting each stone with one another to make a whole. You may see your space begin to fill with light. Some people like to activate the grid by taking a quartz point (or kyanite, or selenite) and connecting the stones by tracing a line beginning at the number 1 stone. Some people will tell you this is the only way to activate the grid. I promise you it is not. Let your intuition guide you as to when its time to disconnect and let the stones and the universe take over. When you feel done, disconnect, touch the ground or floor, thank and release any guardians or guides, and rest assured all is well and go on about your day. Spend some time each day connecting with your grid and its purpose. This will keep your intention in your attention, and activate the grid. Black Tourmaline, which is one of the best Crystals for dispelling negative energy can be used in Space Cleansing to rid stagnant and negative energy. used for repelling and protecting one from black magic, and is often said to return the negative spell to the sender. excellent for dispelling fears, obsessions, and neuroses, bringing emotional stability. can strengthen the immune system; help with heart disease, arthritis, and gout. Chrysanthemum Stone: Grounding, prosperity, discovering and achieving soul purpose. Fluorite: Mental enhancement and clarity, improved decision making, clearing energy fields. Shiva Lingam: Kundalini activation, vitality and prana, spiritual transformation and rebirth, enlightenment, oneness with the all.